Leading Manufacturer of cooling tower aluminum fan, frp axial fan, cooling tower pvc fan and cooling tower plastic fans from Gwalior. 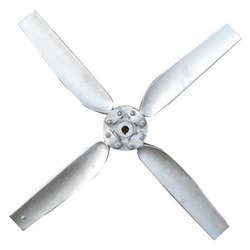 We are an illustrious entity, affianced in offering an all-embracing choice of quality approved array of Cooling TowerAluminum Fan. Due to their exceptional features, offered products are extremely demanded in the market. At our well-equipped fabrication unit, a team of our competent professionals make use of superior-grade raw material for fabrication of these products. 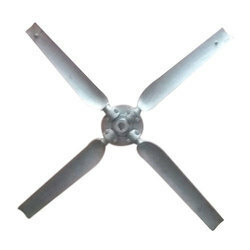 We are a well-known manufacturer and supplier of FRP Axial Fan that is broadly in demand owing to its low power consumption and better performance. Fabricated and designed in accordance with the predefined industry guidelines, these products are highly praised for their outstanding finishing and quick installation. 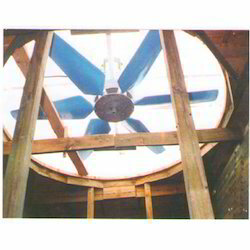 These energy efficient products can be availed at inexpensive rates. Being a quality-centric firm; we are affianced in offering an inclusive assortment of Cooling Tower PVC Fan. This product is developed using exceptional quality material and progressive machinery in conformation with international guidelines. Our offered product is examined on various parameters under the leadership of our knowledgeable professionals. Keeping in mind the varied requirements of our patrons, we provide this product in different designs as per their necessities. Supported ourselves with advanced amenities and endowed personnel, we have appeared as one of the foremost firms of supreme quality array of Cooling Tower Plastic Fans that is used in various commercial and non-commercial sectors. To fulfill supreme patrons' satisfaction, offered product is accessible in an extensive range of designs, sizes and stipulations. In addition to this, patrons can buy these products from us at market-leading rates.